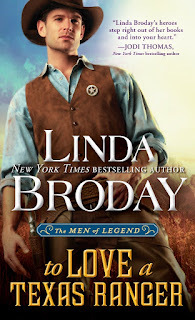 Casablanca Authors: Linda Broday: TO LOVE A TEXAS RANGER ON SALE! Hi Everyone! 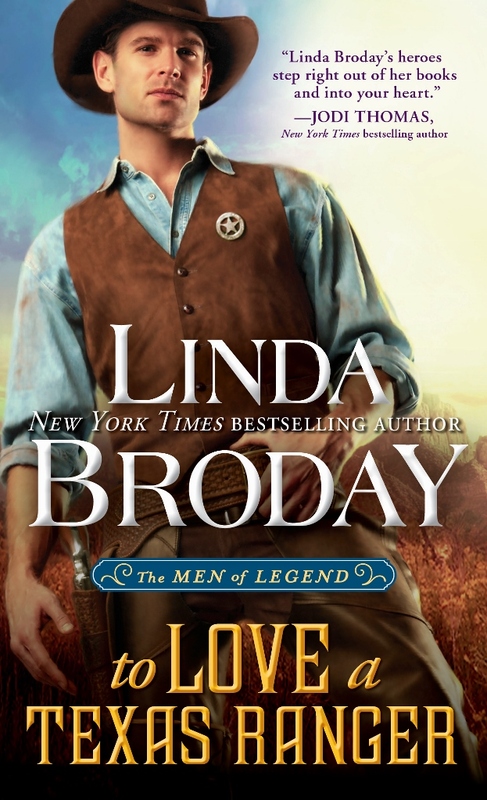 I'm very happy to announce that Book #1 of my Men of Legend series -- TO LOVE A TEXAS RANGER is only $1.25 on Amazon and $1.99 at B&N and Kobo. The sale only lasts until Monday, June 19, 2017 so hurry before it goes up. I knew from the moment Sam Legend sauntered onto the page that he was going to be one of largest and unique characters I've ever created. He's bold and tough and will ride through hell in pursuit of an outlaw. Sam doesn't back down from anyone...except the beautiful Sierra Hunt. In Texas some Legends are born, some are made, and some are created by destiny. Sam is the youngest of Stoker Legend's three boys and he's helped to scrawl their name across the rugged Texas land. When Sierra Hunt falls into his lap, he knows he's bitten off far more than he chew. Sam is shocked to discover his new ally is not only an outlaw, but his half-brother he knew nothing about. Torn between loyalty to his job and love of his family, Sam goes reeling straight into Sierra’s arms. Yet just as the walls around his battered heart begin to crumble, Sierra is stolen away. Sam will risk anything to save her—his life, his badge, his very soul—knowing that some bonds are stronger than the law…and some legends were born to be told. The state of Texas has 268,597 square miles so it’s no wonder we have huge ranches. Some are simply too enormous to comprehend. So I had no trouble setting a big ranch here for my latest Men of Legend series. My fictional Lone Star Ranch is a little on the puny side at 480,000 acres. I modeled it to some degree after the Waggoner Ranch which was 510,000 acres in 1954. The Waggoner Ranch also fit the location of mine in North Texas, not far from the Red River. The largest ranch in the world in 1880 was the XIT Ranch (stands for Ten in Texas) at a whopping three million acres and covered practically all of West Texas and the Panhandle. To put this in perspective, that’s roughly 4,687 square miles. Just think how long it would take to ride over by horseback. Book #2 of this series - The Heart of a Texas Cowboy came out last month (May 2017.) And Book #3 To Marry a Texas Outlaw - will release this November. Have you ever been to a working ranch or a dude ranch? If so, what did you most like about it?